I don’t even know where to start with this post expect that I have been felt very sad since hearing the news of the great Alan Rickman’s passing just after lunch time today. I mean I could not quite believe it twice in the space of a few days a truly legendary figure leaving us and finding out via Twitter. It really is such awful news, the very well-respected and loved actor of not just film but stage as well. An actor I have loved from a young age as the Sheriff of Nottingham in Robin Hood: Prince of Thieves and then coming across him in so many more wonderful roles. 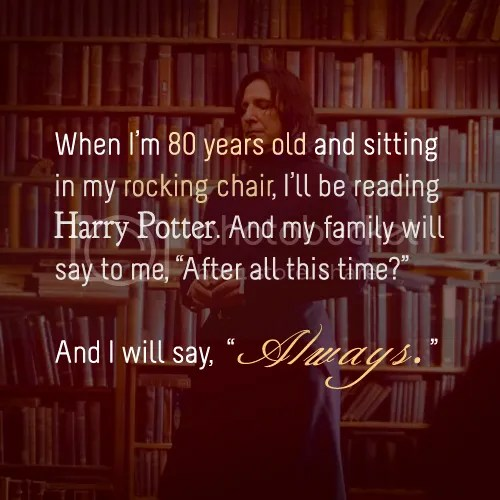 Must mention his turn as Snape in the Harry Potter series as come on he is one of the best characters, as well as Love Actually a different type of role again and Die Hard. Those are the films I immediately think of when the name Alan Rickman is mentioned but I know he had so many more great roles as well, the voice! He really did seem to just love his part in the Harry Potter series which I am sure ended up in the direction J K Rowling took it because of his performances in the films, because remember it was still going on book wise when the films started coming out. Something that is pretty incredible and let’s not forget Alan was quoted with the following (which seems utterly depressing right now) . . .
It’s strange though isn’t it feeling so sad about someone dying who you have never actually met? It just shows the true power of film and performances when you feel like you have lost a friend. But I guess if you have watched so many of the films and interviews etc you feel like you know this person or at least the person they have created. I hope this actually makes sense but he has had such an incredible impact on so many people’s lives over the years and he will never be forgotten. He will forever live in those films and we can watch them when we want. The range of his acting was incredible and I will certainly be paying my respects by re-watching and catching up with as many of his films as possible. My thoughts go out to all of his family and friends at this truly sad time. I was really shocked about his death… But now I have a reason more to watch “Alice through the Looking-Glass”. Me too, I still cannot quite believe it. What an awful week! Oh yes to hear his voice in that film. I have just checked and we have another film which is in with Helen Mirren to look forward to. I’m still in shock. I had no idea he was battling cancer. A tremendous talent; he will be missed. I had no idea either, I think that’s what makes it even more shocking. Another sad day on the passing of a truly brilliant actor. He will be remembered for his many great roles in the cinema and theatre. One of his films which I must watch again is the sci-fi comedy Galaxy Quest. Oh right, think I’ve seen some stills from it! He’s someone I’ve been watching in films for literally as long as I can remember, and then throughout my life, so it’s very strange and sad he’s gone, and so young for these days. I’m watching Galaxy Quest for the first time right now! It’s so sad watching him at the moment, honestly crazy how sad an actor passing can make you feel. I think that’s part of the skill of great actors — they let us into their characters so much, we feel like they’ve somehow let us into themselves, so it feels personal when they’re gone. Especially someone like Alan Rickman, who did it so well so many times. Your totally right he sure did that with so many of his great characters! Great tribute. I love looking at his body of work and remembering how great he was even before Harry Potter. He was so great in Robin Hood!! Oh yeah totally I am certainly catching up with his older films now. This was a really lovely tribute to an actor who will be missed.